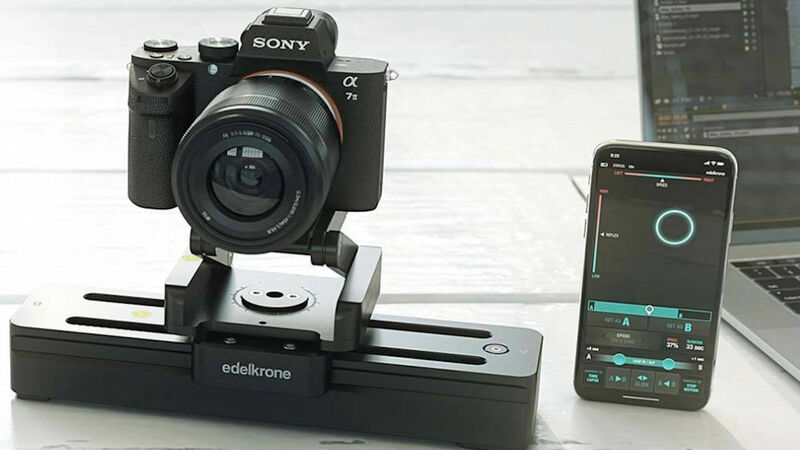 Known for its innovative, streamlined, and user-friendly camera motion accessories, Edelkrone has unveiled the SliderONE Pro. This is a more advanced and versatile version of the SliderONE. In many ways, the Pro version is similar to the original, but there are some very worthwhile improvements. You can expect even smoother video effects with the Pro version. This version has a built-in motion module. There’s also improved motor speed and integration with the slider. You’ll also get 5cm of extra travel, a more powerful motor with improved position control capability, increased incline capacity, a thinner and lighter body, and improved vertical layout and more app features. The app has a handful of updates that expand and add to the different shooting modes. The update includes a time warper mode, which keeps the motion of the camera steady but changes the speed of the time-lapse while recording. The motion warper keeps the length between the shots the same but allows the speed of the movement to change rather than limiting the shot to one continuous speed. Although this price is $589, being a small, lightweight slider will pretty much pay for itself over time. Adding a motion capability to headshots brings more to your videos. Even using the stop-motion and time-lapse features with controlled slide will give you more exciting shots to play with. There’s a lot to love about the Edelkrone Sliderone Pro. It’s a great upgrade over the previous version and it’s going to be a joy to use. Get the SliderOne Pro Here.